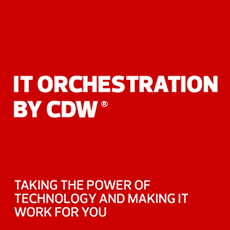 Let CDW evaluate your security infrastructure and design a Sophos security solution. Sophos makes IT security simple. Focused on innovation in next-generation protection, Sophos solutions are simple to deploy, maintain and manage, enabling organizations to protect and defend their networks, their information and their people. Protect end users and all their devices against malware, targeted attacks, phishing, and other threats with next-gen endpoint protection, anti-exploit technology, mobile security, encryption and more. Eliminate current and future threats with the newest from Sophos Intercept X. Now featuring EDR, Intercept X Advanced enables machine learning and guided investigations that shut down breaches and potential risks. Sophos Mobile is a comprehensive EMM solution with extensive features for Mobile Security and Mobile Device, Application and Content Management. Full disk encryption is the essential first line of defense to protect your data on misplaced, lost or stolen devices. From next-gen firewall protection and unified threat management to powerful cloud-managed Wi-Fi and web security, Sophos products work together to secure your network. Take a fresh new approach to managing your firewall, responding to threats and monitoring your network. Select and launch this next-gen firewall within the Microsoft Azure Marketplace. Sophos Wireless simplifies managing and securing wireless networks. Deploy it as a standalone product or as part of your portfolio of cloud-managed solutions. See many of the great new innovations and features packed into XG Firewall v17. Protect workloads from ransomware with CryptoGuard, part of Server Protection from Sophos. Sophos Email is cloud email security simply delivered through Sophos Central’s easy-to-use single management console. Ensure security with effective phishing simulations, automated training and comprehensive reporting. Sophos Web Gateway provides security, visibility and control for all your desktop PCs, Macs, Chromebooks and mobile devices.